I was gladly surprised by Tunisian cuisine. A good and tasty variety of flavours, combining Mediterranean (mostly French but also Italian) and North African culinary traditions. This fusion and diversity come from the many civilisations which have ruled the land: Romans, Vandals, Byzantines, Arabs, Spanish, Turkish, Italians, French, and the native Punics-Berber people [Wikipedia]. You will notice two distinctive traditions when ordering food in Tunisia: they always give you a lot of bread free of charge, and most of the times a snack/starter as well. Bread is very important in any meal and it is even used to eat as a cutlery replacement. Probably the most famous and traditional Tunisian dish. Most restaurants and hotels have it on their menu, and some street shops as well. 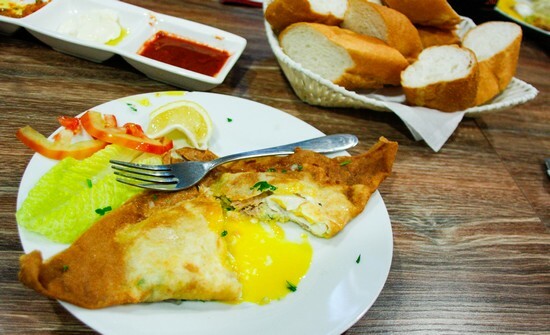 It is a delicate pastry dough called Malsouka, which is fried and stuffed with egg, parsley and tuna. It is served with lemon and there is a technique to eat it: you take a couple of bites until you are about to reach the egg, and when you are there you need to swallow it, so you don’t spill the egg’s liquid. You can also keep adding lemon at any time. Its shape may vary slightly, being normally a triangle (like a folded pizza, calzone or samosa). You can find other fillings as well, such as cheese, potatoes or shrimps. High-quality briks seems to be multi-layered and dryer than the rest. It is generally served as the second course during Ramadan, which is the main reason behind its popularity. 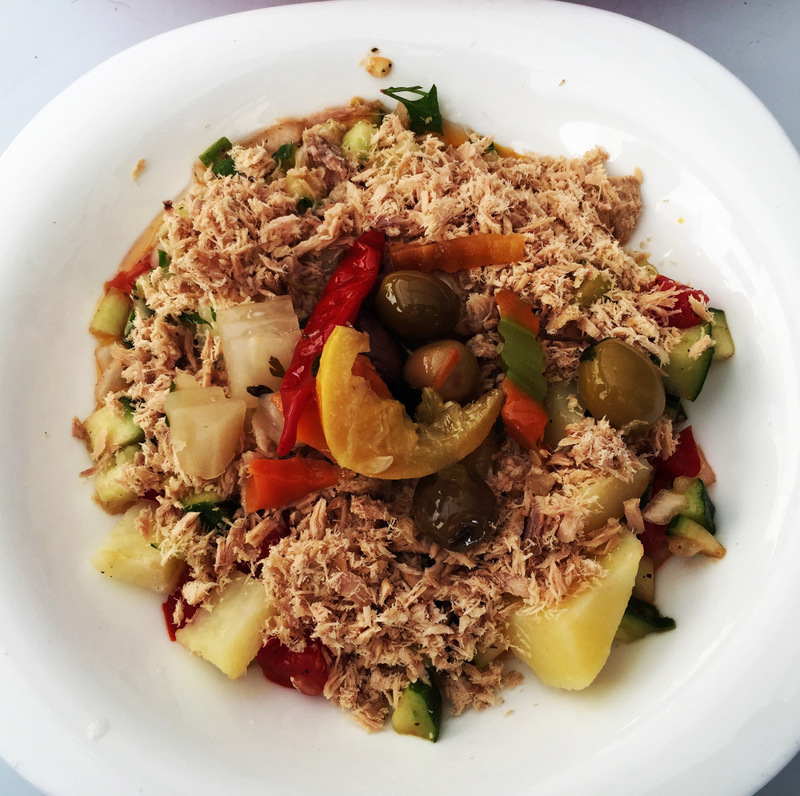 This is a basic but effective salad, containing tomato, onion, cucumber, beans, potatoes, olives, tuna and egg. It is normally served with olive oil and lemon on top, and sometimes with Harissa as well. I was having this salad with a local friend and he told me: “this is called Tunisian salad, but there is nothing traditionally Tunisian in it”. That being said, I would emphasise its freshness and taste. This “red” salad is very traditional, and it was the first local dish I was tempted to try when I arrived in Tunis. You will find it in most restaurants and coffee shops. 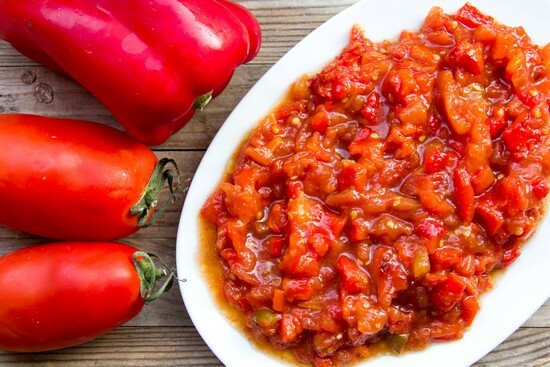 It is made of grilled sweet red peppers, tomatoes and onions mixed with oil, lemon, tuna fish and hard–boiled eggs. It can be spicy so better to ask first. It can also be served either mild or hot, and sometimes alongside grilled fish or lamb as part of another dish. This is one of Tunisian’s favourite street food, and it was probably mine as well. 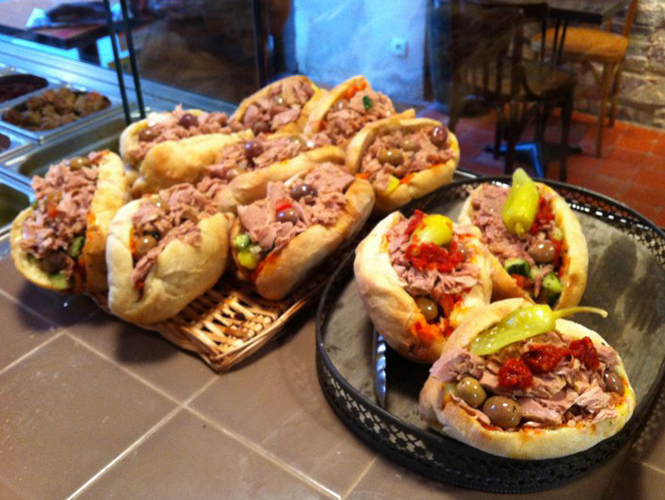 It is a savoury fried doughnut filled with tuna, boiled egg, olives, harissa, and boiled potato. There is an open area in La Marsa where we got both the Bambalouni and Fricassé, and also homemade potato crisps. It is next to the main mosque in the area. La Marsa really has a laid-back Mediterranean vibe and it is where most middle-class Tunisians and ex-pats live. So I would recommend to go and walk your way around. This was probably my favourite. Not only because it was tasty, but also because it was original and fun in the procedure to get it prepared. Lablabi is a thick soup or stew made of chick peas and flavoured mostly with cumin and garlic. It is served over small pieces of stale crusty bread, which is recommended to be 2 days old. A soft egg is also added to the soup, along with olive oil, harissa, capers, tuna, olives, lemon juice, garlic and additional cumin. The preparation was very interesting. You get an empty bowl (clay pot) and a piece of hard bread (2 days old). So first you need to cut the bread into small pieces with your hands and fill the bowl with them. You then hand over this to the cook who will add all the rest of the ingredients and give it back to you. You finally mix everything up using two spoons and that’s it, you get your stew ready to eat. We had it in a very good place in the Du Lac 1 area, called Café-Halfaouine, where you can also have tea, coffee, shisha, and more. Totally recommended. 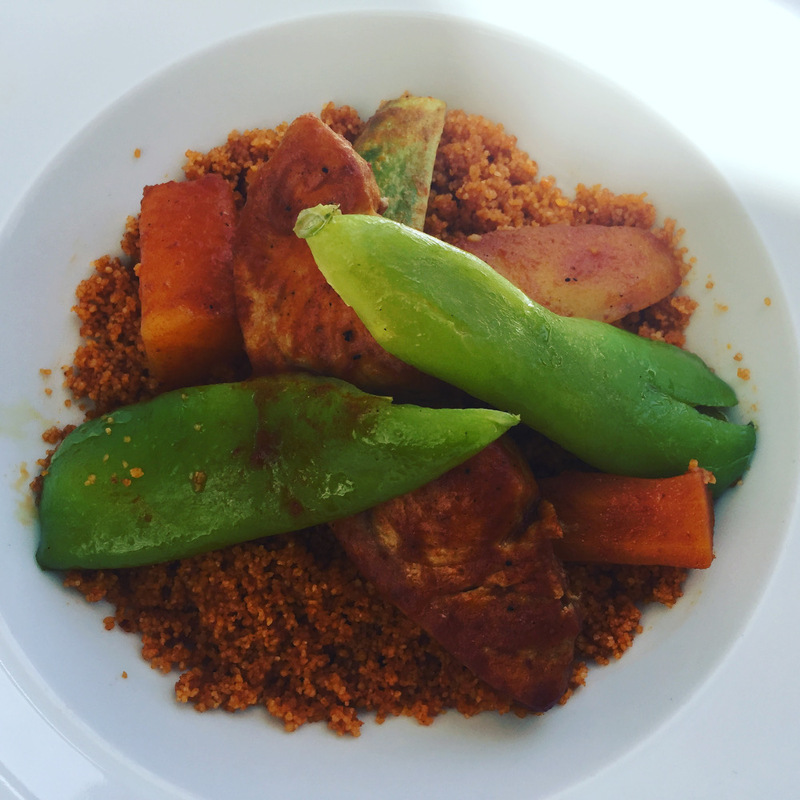 Probably you all have heard about Couscous or have already tried it at least once. 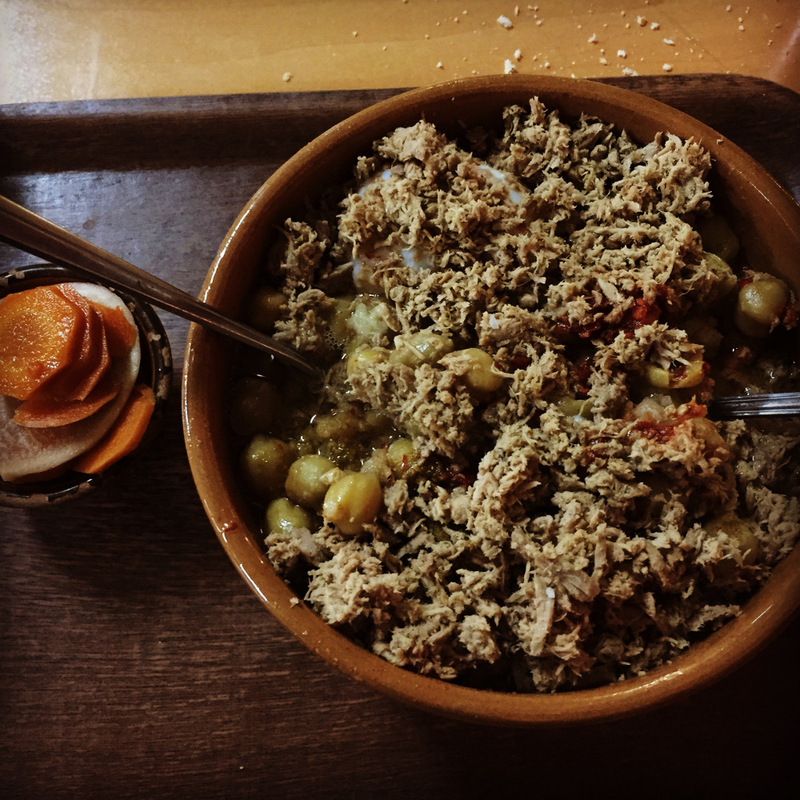 It is a Maghrebi dish of small (about 3mm diameter) steamed balls of crushed durum wheat semolina, usually served with a stew spooned on top [Wikipedia]. There are endless different ways to prepare it, and it can vary in different areas of the country. It is normally served in a deep plate with a piece of meat or fish and some vegetables on top. Preferred meats include lamb or chicken, and fish can vary between red snapper, grouper, sea bass and swordfish. Favoured vegetables include peppers, carrots, pumpkin and potatoes. Locals seem to agree that Couscous is originally from Morocco. However; its origin is uncertain, and it is considered traditional throughout the North African cuisines of Morocco, Algeria, Tunisia, Mauritania and Libya. 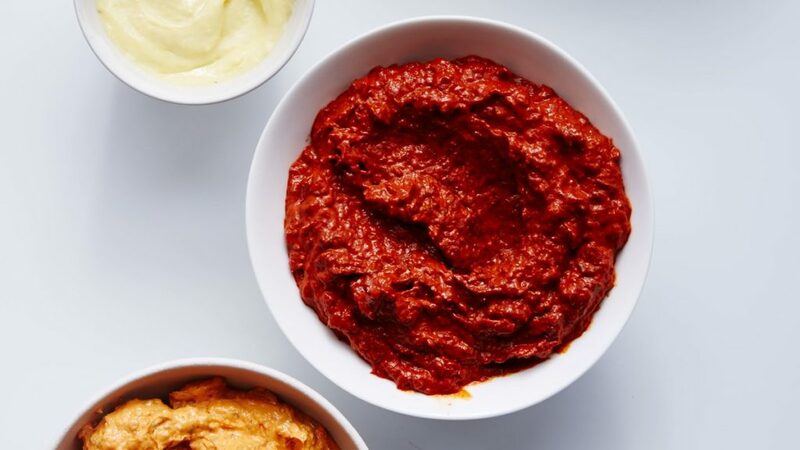 It is a spicy paste made with chilli peppers and garlic, which is often served as a condiment (for meat, fish or salad) or dip. I’ve had it a few times and it is not as hot as it seems. Most places serve it with bread and olive oil as a snack, being altogether a very tasty combination. Harissa is a traditional Tunisian product, and quite appropriate for a gift/souvenir. You can get it everywhere, from supermarkets to gift shops, and also at the airport. Moreover, Harissa is getting trendy in different parts of the World. You can easily find dishes and meals with it in the UK (for instance, M&S offers fish and meat with this paste). Last week we had poached eggs for brunch and it also came with Harissa, another great combination. You can also find it online on Amazon. This is the Tunisian version of a frittata, quiche or tortilla. 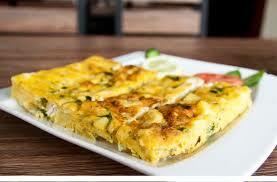 It is made with beaten eggs, grated cheese, meat and various vegetable fillings, and baked like a large cake. It is normally served as a free snack before meals in restaurants, but you can also buy it as a main dish. Sweet, very sweet. 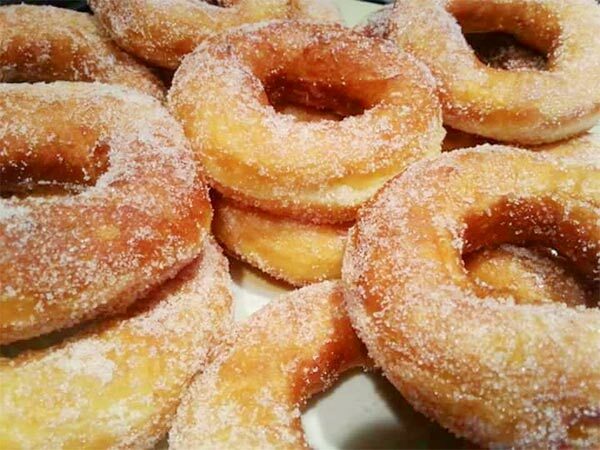 The Tunisian version of American doughnuts. It is a round-shaped flour dough fried in oil and sprinkled with sugar or honey. They are delicious I must say, but you need to be prepared for a sugar boost. It is highly recommended to eat them hot. So they will prepare it for you on demand, and then goes from the frying pot to your hand, with a quick sugar-loading stop. Celtia is the main local beer (81% share). And it is quite good, especially for a country with low level of alcohol consumption. It is a light lager with a strong character. You can find it in many hotels and restaurants, bottled or even on draught. But it is not everywhere. There are some alcohol-free areas. “Du Lac” (1 and 2), the so-called business district of Tunis, is one of them. It seems that the main investors are Saudis, and they would not allow it. 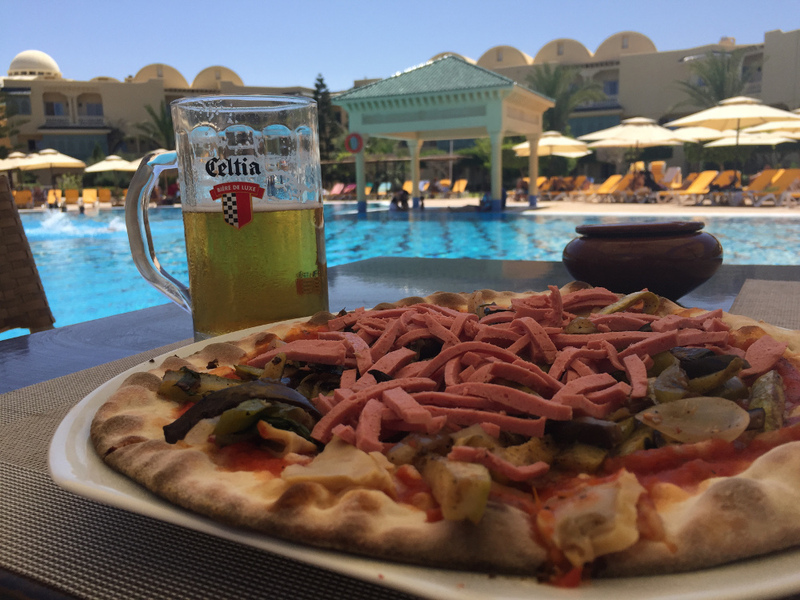 If you are looking to spend a full day in a resort, where you can enjoy a large pool and a few pints of Celtia, I recommend Carthage Thalasso Resort in Gammarth. It costs 60 TND on weekdays and 70 on weekends. Thanks! Very useful advice, well written, honest & not trying to sell anything. Shouldnt be so hard to find but it is. You have very positively contributed to our stay in Tunis 🙂 from one travel writer to another!